This week it hit almost 80 degrees in New York. That’s the way it goes usually. We have winter, which never seems to end, and then bam! we have summer. Spring winks at us as she passes by for a week or two. Granted, we do have beautiful falls (lovely indian summers) but I would love a nice prolonged spring once in a while. In any case, warm weather inevitably puts people in a grilling mindset around here. Which is funny, given than New Yorkers rarely have outdoor space where they can grill. But we make do. Some keep grills (illegally) on their tiny balconies. Others use communal back yards. And some (like me), use a stovetop grill pan to get some grill marks but, alas, no smoke. Nothing goes better with grilled meat than barbecue sauce. 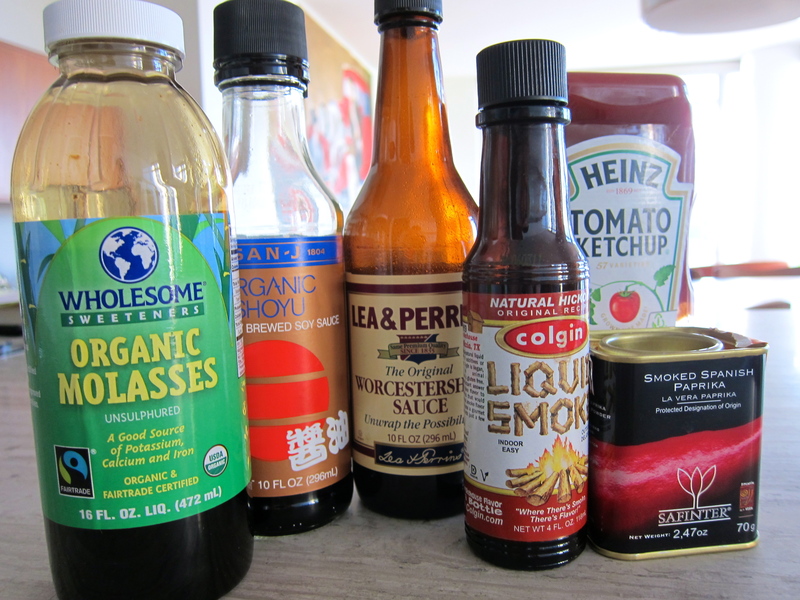 Of course, I am reluctant to buy the bottled stuff, wary of long, indecipherable ingredient lists, so I have created my own recipe for a super quick two-minute barbecue sauce. Yep. Two minutes. And you really only need those two minutes to gather the ingredients. After that, you just mix them together with a spoon and you’re done. All of the ingredients are things you probably already have in your pantry except for the liquid smoke (it lasts forever so I just keep a bottle in the pantry) and the smoked paprika, which, if you don’t have, you should buy immediately. It makes everything better. The end result is a smooth, smoky barbecue that is great brushed on chicken breasts or skirt steak and can be kept in the fridge for a long time if you make more than you need. 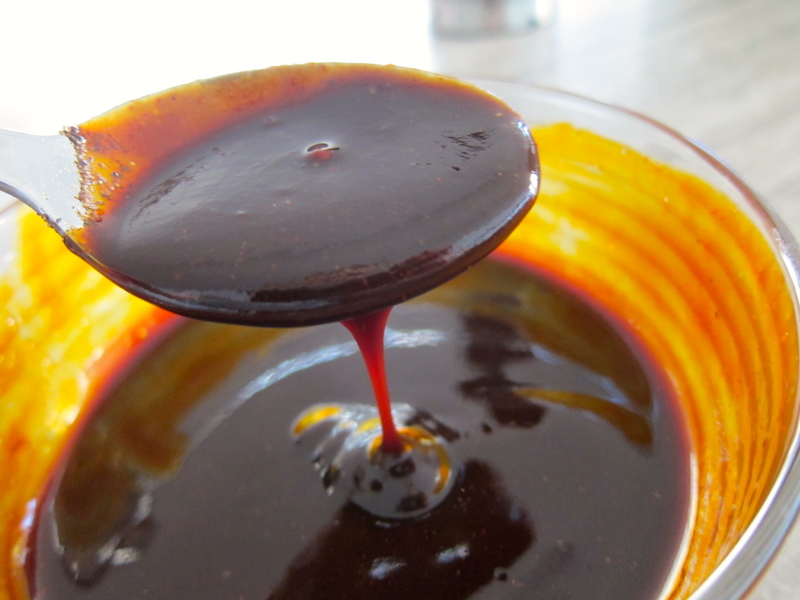 The other great thing about this barbecue sauce is that it can serve as your own palette that you use to make your own individual version of a barbecue sauce. You want an Asian flair? Add hoisin sauce. You want a kick? Add Sriracha sauce or cayenne pepper. You like your barbecue sauce sweeter? Add maple syrup. In a small bowl, mix all the ingredients with a spoon until you have a smooth, liquid sauce. 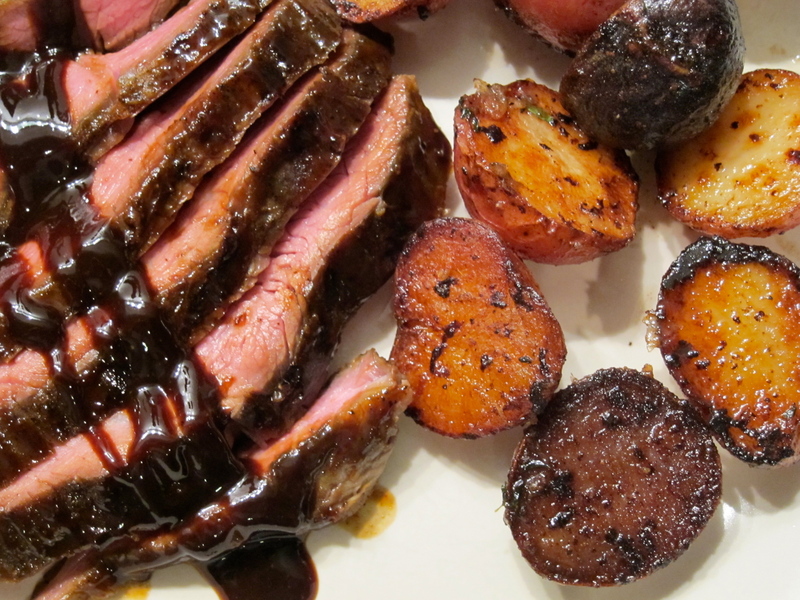 This entry was posted in Recipes and tagged barbecue, liquid smoke, recipe, sauce, smoked paprika. Bookmark the permalink.